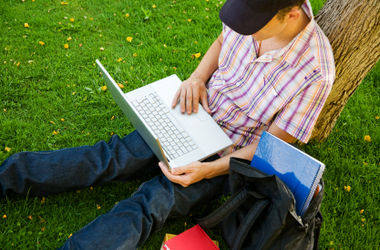 Online vs. Classroom: Which Is Right for You? Kizzy shares her insights on online versus classroom learning. In 2011, just about every college in the nation offers college courses and even full degrees that can be earned completely online. Gone are the days when online education was something to be scoffed at as inferior to classroom education. Now schools are competing to cut their costs, and win more students by offering online degree options. With all of these new options available how do you know which mode of learning is right for you? With the explosion of the technology industry in the past 15 years, online education has really helped people from all walks of life capitalize on furthering their education, while still being able to work, pay their bills and have families, according to an Aol.com article, "Opportunities Abound with Online Degrees". PROS AND CONS There are pros and cons to both classroom instruction and learning completely online; however, these should be weighed and evaluated based on what is important to you, before committing to any particular degree program. Classroom Pros • There is face-to-face instruction. • Networking is easier. Classroom Cons • You must travel to campus (in the winter this may be particularly stressful). • It is convenient for those who work a full-time job. Online Cons • It may be hard to express your thoughts, feelings or opinions in writing. • Lots of reading-- from the lecture, to textbooks, to discussion board posts which you must read and respond to, you have to be sure not to miss vital information. • It is difficult to form a real connection with your peers. Carolyn Gist, the R.N.- B.S.N. advisor at University of Texas at Arlington says that it takes a certain kind of student to excel in an online learning environment. She says, "Successful online students are self-motivated, highly organized and focused on their goals." Online degrees now offer the same exact course work as traditional classroom courses. So the choice of mode of learning comes down to your personal preference. Some students often try out an online course only to find that they like classroom instruction better. Gist says, "This happens often. Some students realize they prefer a learning style that requires they participate in classroom instruction where they can visually and verbally interact with the instructor and their peers. Another reason is some students realize that they don't have the discipline for online study so they return to the classroom. Online education isn't the easy route to a college degree by any means. Gist cautions, "Many students want to quickly earn their degree with an online accelerated program, but they don't understand or respect the amount of time required for studying. Successful students understand this and are willing to work at a pace that takes into account all that they have to do and those are the students who most often complete their educational goals." To figure out which way you prefer to learn, give both classroom instruction and online learning a try. Schools often offer an orientation or demo of an online course to give you an idea of what to expect. If you think you would enjoy it sign up for a class.